How can you teach high school students about budgeting and money management in the real world? Mad City Money is a fun, interactive budgeting simulation for high school juniors and seniors. 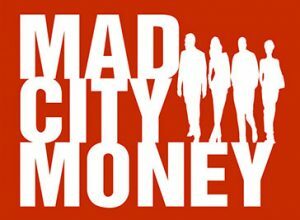 Mad City Money is a 2-3 hour hands-on simulation that gives students a taste of the real world—complete with occupation, salary, spouse, student loan debt, credit card debt, and medical insurance payments. It allows participants to make mistakes—and suffer the consequences of their decisions—in a realistic, but safe, environment. Students take on a “new life” including a career, children and debt. They are challenged to purchase a house, clothes, transportation, home goods, and so much more. Through this experience, students experience real world money issues, and by the end of the day, walk away with a little more life experience, a little better prepared for success, and maybe even a scholarship towards college. Teams of 3 students each will compete for $9000 IN SCHOLARSHIPS. The event takes place April 21, 2018 at Lake Erie College in Kirtland, Ohio. To register, or for more information, CLICK HERE. The link will take you to a site managed by Mad City Money, North East Ohio. I’m working on an entrepreneur camp for kids and would like to attend or assist.